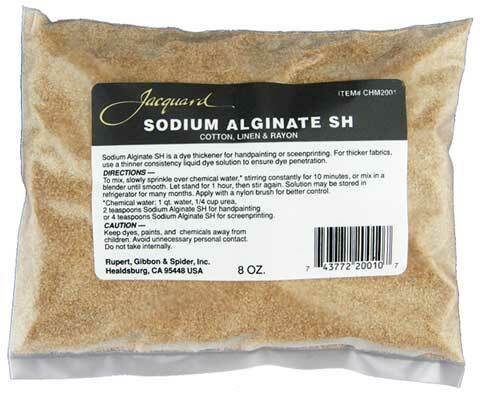 Derived from seaweed Sodium Alginate SH is a desirable thickener for Procion MX dye. It is used primarily for cotton and other cellulose fibers, but may also be used for silk when fine line definition is not required. It is also used to thicken dye for screen printing, painting or to control spreading.